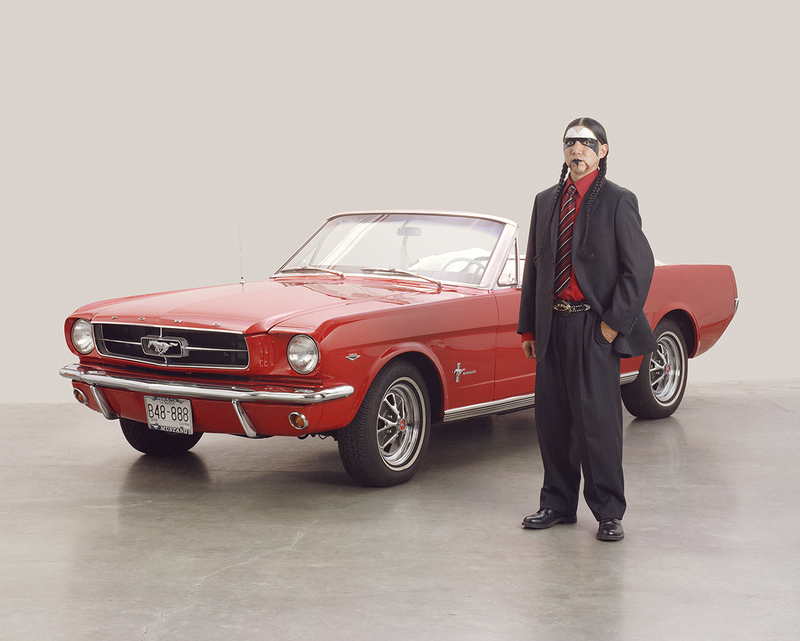 Dana Claxton, Daddy's Gotta New Ride, from The Mustang Suite, 2008. Mary Pratt, Light Takes the Tree, 2015. Dalhousie Art Gallery is very pleased to announce a significant contribution to the permanent collection that was received in 2016. 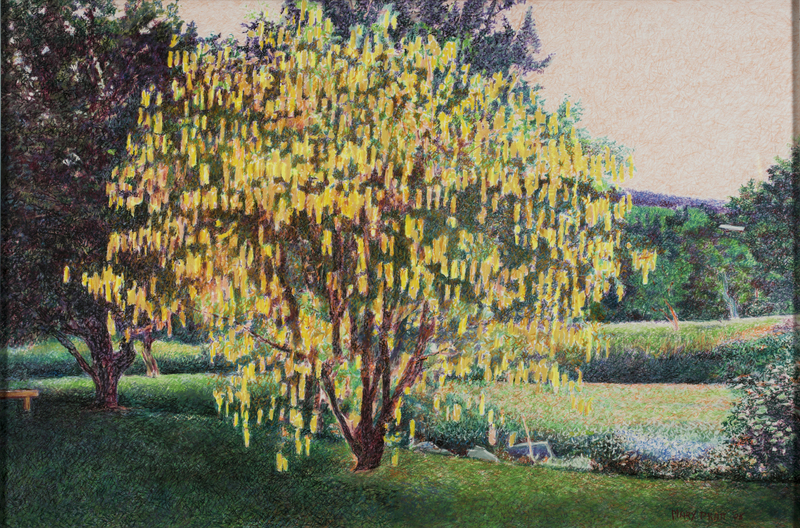 Because we have very limited resources for the purchase of artworks, the Gallery relies on donations, of both acquisitions funds and artworks, to expand the collection, an activity that greatly enhances our ability to foster an appreciation and understanding of the visual arts within the Dalhousie University community, and to be a resource for our local and regional communities. The Gallery is honoured to welcome The Mustang Suite, by Dana Claxton, a Vancouver-based artist of Hunkpapa Lakota Sioux ancestry, to this territory, to Dalhousie University, and to the Collection. The acquisition was made possible through the generosity of the artist, financial contributions from Alumni members of Dalhousie University’s Schulich School of Law, and support of the Canada Council for the Arts Acquisitions Grants program. Assistance with the transportation from Vancouver of the framed photographs was provided by TOTAL Museum and Fine Arts Services, Toronto. This iconic series of five large scale photographs offers many points of inquiry: the ways in which Indigenous people, especially women, are portrayed in Western culture; the place of beauty and glamour in fetishism; the traditions of portraiture; the legacy of Colonialism. it spans considerations of popular western culture and assimilation, and Indigenous self-identity and representation. The suite presents staged portraits of members of a contemporary Indigenous family posing with various refigured mustangs: a muscle car, a banana-seat bicycle, a pony, and a white woman with horse blinders and mouth bit. Exhibited at the Dalhousie Art Gallery in 2011 as part of the National Gallery of Canada’s touring exhibition “Steeling the Gaze: Portraits by Aboriginal Artists” and concurrent with Jeff Thomas' exhibition documenting Residential Schools, Where are the Children, installed in the Atrium of Dalhousie’s Schulich School of Law, The Mustang Suite is distinguished for its incisive and provocative humour, impeccable technical production, and its many layers of social commentary and critique. The Gallery is very pleased to announce two significant contributions to the permanent collection that were received in 2016. Because we have very limited resources for the purchase of artworks, the Gallery relies on donations, of both acquisitions funds and artworks, to expand the collection, an activity that greatly enhances our ability to foster an appreciation and understanding of the visual arts within the Dalhousie University community, and to be a resource for our local and regional communities. This iconic series of five large scale photographs by Dana Claxton, a Vancouver-based artist of Hunkpapa Lakota Sioux ancestry, spans considerations of popular western culture and assimilation, and Indigenous identity and representation. The suite presents staged portraits of members of a contemporary Indigenous family posing with various refigured mustangs: a muscle car, a banana-seat bicycle, a pony, and a white woman with horse blinders and mouth bit. Exhibited at the Dalhousie Art Gallery in 2011 as part of the National Gallery of Canada’s touring exhibition “Steeling the Gaze: Portraits by Aboriginal Artists”, The Mustang Suite is distinguished for its incisive and provocative humour, impeccable technical production, and its many layers of social commentary and critique. With a specific mandate to collect artworks by local and regional artists, and an emphasis on collecting works on paper, the Dalhousie Art Gallery permanent collection includes a number of mid and later twentieth century paintings and drawings of Maritime subject matter. Because many of these have been acquired through donation, not only do they reflect the Gallery’s collecting interests, they also represent and reflect the various collecting interests of the donors. The most recent donation to the Gallery is a selection of thirteen works from the private collection of Brian and Megan Porter and Family. Through their shared passion for art and a love for Atlantic Canada, the Porters have built a collection of early twentieth century paintings of New Brunswick and Nova Scotia maritime scenes, and works by several contemporary Atlantic Canadian artists. Their donation makes a significant contribution to strengthening our collection, both by introducing the work of Molly Lamb and Mary Pratt—artists who were not as yet represented in the collection—and in complementing works by artists who are touchstones in the collection and in the Gallery’s collecting history, including AY Jackson, Robert Pilot, and Christopher Pratt.